1. Thou shalt not wait for perfect ANYTHING. 2. Thou shalt constantly learn. A year should NEVER go by without you growing and learning as both a photographer and an entrepreneur. 3. Thou shalt recognize that a photography business is a BUSINESS that will require you to, well, run a business. You will be scheduling, ordering, writing, calling, invoicing, etc. As you grow your business, you may wish to delegate and hire out the business side of your business to an accountant, office manager, editor, PR specialist, etc. Or, you may prefer to do it yourself. Either way, you are NOT just a photographer. If you own a photography business, plan on running a business. 4. Thou shalt blog regularly. Why? Firstly, so that people can find you online. Blogging is a powerful way to up your SEO so potential clients land on your page when searching for a photographer. Secondly, an up-to-date blog shows clients that you are currently working and what your personality is like. 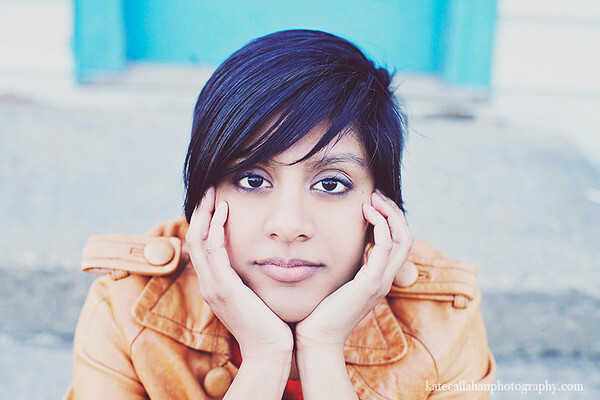 Portrait photography is the business of people. So anytime people get to know you as person, this is a good thing. And thirdly, free social media platforms are NOT within your control. A few years back, Facebook pulled the rug out from folks and made it a pay-to-play platform. It looks like instagram is headed in the same direction. The only platforms you can completely control are your own. Blogging is essentially free, easy, and a powerful way to connect with clients. 5. Thou shalt not overspend on equipment. I spent the first three years of my business shooting with a Canon 40D and the kit lens that came with it. There were so many other cameras I wanted. And sooo many other lenses. But there was also web hosting to be bought, flyers to be printed, and business insurance. These things had to trump my desire for new gadgets. When the moments popped up when I really did need other equipment, I rented. 6. Thou shalt feed your creativity on a regular basis. It's awfully hard to blog or shoot or do any of the creative aspects of your business when your tank is on E. And it will get there quickly if you don't regularly schedule time to fill up your creative energy pool. Visit your local library. Read a book. Wander in the woods. Do something that fills your soul up with happiness and wonder. I guarantee you that your next shoot will be a good one when you arrive on F.
7. Thou shalt charge in order to be profitable. The biggest mistake any professional photographer can make is to price according to what the competition is charging. You aren't the competition. If you want to stay in business, you have to charge the amount needed to cover your costs and taxes … and then what's needed to make a profit. 8. Thou shalt develop a consistent style and display this on social media and your web site and blog. This doesn't mean you can't grow and change as an artist. But when someone stumbles on an image and immediately knows that you shot it, that's a sign that you're doing a great job of being consistent. If you can do this, you will draw some people to you … people who LOVE your style. And you will push others away. These are the folks you don't want to work with because you'll never be able to make them happy. But the first group? The ones who are your biggest fans? They'll save up to work with you. They'll share your work on social media because they love you so much. They're the ones you want. You'll never develop those raving fans, however, without first developing -- and showcasing -- a consistent style. 9. Thou shalt be inspired by other photographers, but NOT copy them. It really doesn't matter what actions another photographer uses. It's not important how they got "that" shot. What matters is how you can create work that springs from deep within your soul. That's the work that will set you apart. There are a million photographers out there. And that's ok. You STILL can be successful. You'll up the odds of success dramatically, however, if you avoid the trend of fitting in and strive to be the best version possible of … you. 10. Thou shalt learn your equipment. Commandment one says to get out there and start working before you ever become a perfect shooter. But don't for one instant think that means you should coast along shooting on auto. Learn your camera. Practice with it every day until moving your settings in manual mode is literally second nature. Then learn your flash(es). Learn your off-camera lighting set ups (if you use them.) Learn photo editing. Get good. The less you think about your equipment on a shoot, the more focus you can give to your subjects. And quite honestly, in portrait photography, this is the way to be successful. 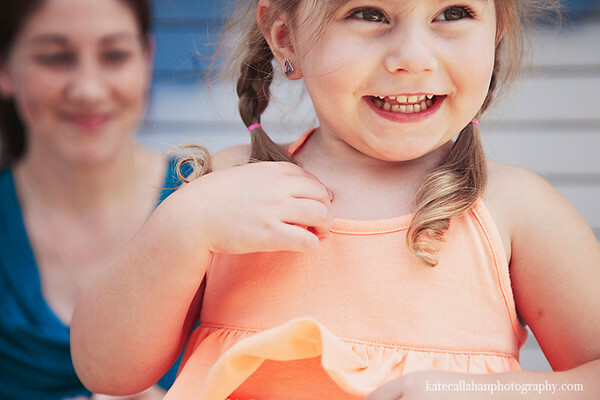 Amazing portrait photographers know how to work with people -- and connect with them -- while putting them at ease. You'll never be able to do that while fiddling with your equipment. What are your thoughts? 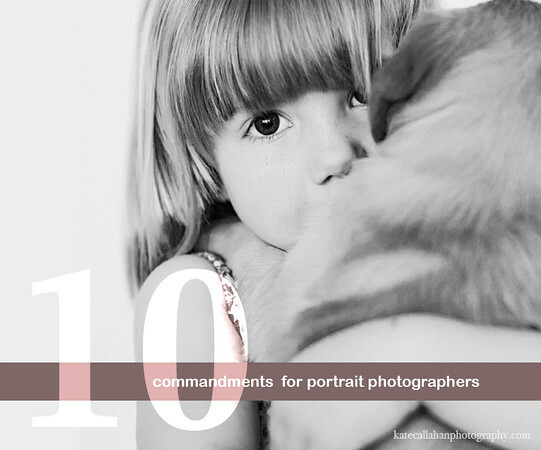 What commandments or rules do you live by as a portrait photographer? Please share below. Keep shooting!